One of the unapproving voices is Jennifer Tilly, who played Tiffany Valentine, the eponymous Bride of Chucky, a serial killer who became a doll alongside her beloved. In a (frankly kind of menacing) Tweet, she expressed her disapproval for the remake, which features the premise of the original Child’s Play film but none of the principal players of the original. The best thing about this, by far, is that she has the doll apparently lying around to pose with. I understand wanting to keep heirlooms from the films you’ve worked on, but gosh that is scary. Are we sure that doll is inanimate? Like, how sure? Creator Don Mancini agrees with Tilly, for what it’s worth, not entirely approving of the doll’s new look. 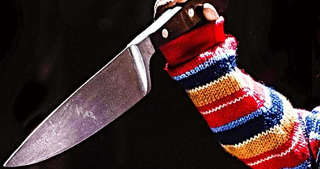 Child’s Play comes out June 21, 2019, and it may/may not be scarier than that doll prop.